Waves of holiday spirit splash over the park during SeaWorld’s Christmas Celebration™. Here in a wintery, watery wonderland, guests of all ages will enjoy stunning live shows inspired by the natural world, journey to the North Pole on THE POLAR EXPRESS Experience, then share a smile with a playful penguin at the South Pole while visiting the park’s newest attraction, Antarctica: Empire of the Penguin! Christmas Signature Show Seating and Dine with Shamu – Guests will enjoy reserved seating at our most popular Christmas shows and enjoy Orlando’s most immersive and memorable family dining experience – Dine With Shamu® at SeaWorld® Orlando. A complimentary family photo is also included to remember the night. Christmas Signature Show Seating and Santa’s Fireside Feast — Enjoy reserved seating at our most popular Christmas shows, a warm-hearted holiday experience and meet Santa and Mrs. Claus at Santa’s Fireside Feast. Christmas Signature Show Seating and Dining Certificate and Family Photo — Enjoy reserved seating at our most popular Christmas shows and a dining certificate to use that evening at any participating restaurant. Dining Certificate includes an entrée with its accompanying side, an additional side item and a non-alcoholic beverage. 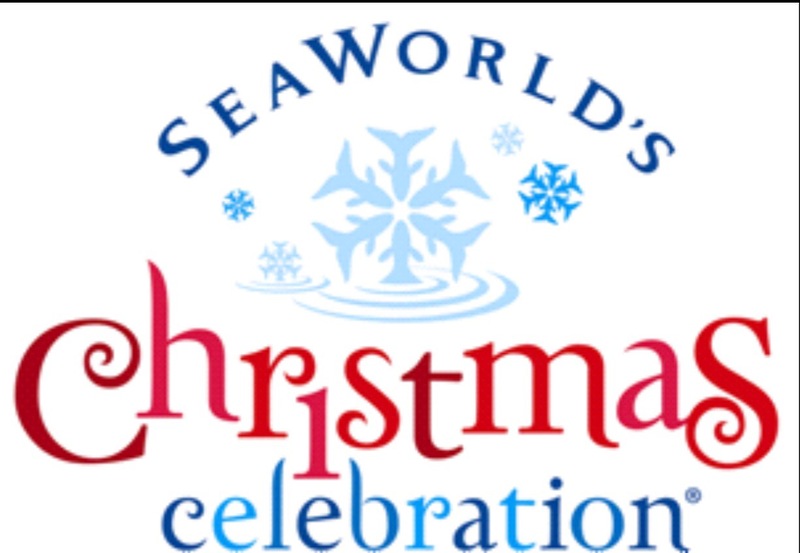 Experience the favorite attractions for children at SeaWorld’s Christmas Celebration™ during this 3-hour walking tour. Highlights include: a penguin meet and greet, reserved seating at Elmo’s Christmas Wish, a warm-hearted meal at Santa’s Fireside Feast with an exclusive visit with Santa and front-of-the-line access to THE POLAR EXPRESS Experience. Shamu® Christmas Miracles — SeaWorld invites guests to experience the grace and beauty of our Shamu family at our nighttime holiday show, Shamu Christmas Miracles. Thrilling seasonal music rings out as whales soar through the air in a story of reflection and understanding … of peace and friendship … of the everyday miracles that surround us all year long. O Wondrous Night — Shares the greatest story never told, with more than 30 carols, based upon The Christmas Story and told through the eyes of a variety of live animals. Everyone will be entertained by this touching, light-hearted and glorious celebration featuring a host of angels, animals and the true wonder of Christmas. It’s a live nativity that only SeaWorld can bring to life. Winter Wonderland on Ice – Delight in the magic of Christmas on a stage of ice, jewels and light as skaters dazzle and delight in this show-stopping, ice skating extravaganza. The other stars of the show are the towering fountains of water dancing on the lake and fireworks that light up the night sky after the last ice show of the evening. It’s a don’t-miss experience for the holidays that will take your breath away. The holidays have arrived, and everybody’s Sesame Street® friends have come to SeaWorld® Orlando for a festive and fun musical celebration! Elmo’s Christmas Wish will soon become your child’s favorite show. Join Rosita, Grover, Zoe and Cookie Monster as they work together to help Elmo find his Christmas wish! SeaWorld® celebrates the season during Holiday Reflections: Fireworks and Fountains Finale, featuring soaring fountains, dazzling lights, and festive fireworks, choreographed to joyous holiday musical favorites. Experience an amazing SeaWorld Christmas connection that illuminates the night sky. At the Wild Arctic® attraction, guests embark on an extraordinary journey to the North Pole aboard THE POLAR EXPRESS Experience. The beloved holiday classic comes to life as you and your family are immersed in the heart-warming story of a young boy’s thrilling ride into an enchanted world. The sights, sounds, and scents of the season surround you. From the moment the conductor calls “all aboard” to your arrival at the North Pole (where you’ll meet Santa Claus himself), THE POLAR EXPRESS Experience promises to create an unforgettable holiday memory. Plus, enjoy a delicious dinner of Christmas favorites with Santa and Mrs. Claus during Santa’s Fireside Feast, a charming, warm-hearted holiday experience. This sumptuous, all-you-care-to-eat menu of holiday favorites and delicious desserts takes place on select days during SeaWorld’s Christmas Celebration and provides an exclusive time to meet Santa. Reservations are required, and include a complimentary family photo. Visit SeaWorldOrlando.com and follow them on Facebook, Twitter and Instagram for the latest details about SeaWorld’s Christmas Celebration. Join the conversation by using the hashtag #SeaWorldChristmas.